This trip just stepped up a level, both in difficulty but mainly in the amazing landscapes we’ve been riding through for the last 6 days. 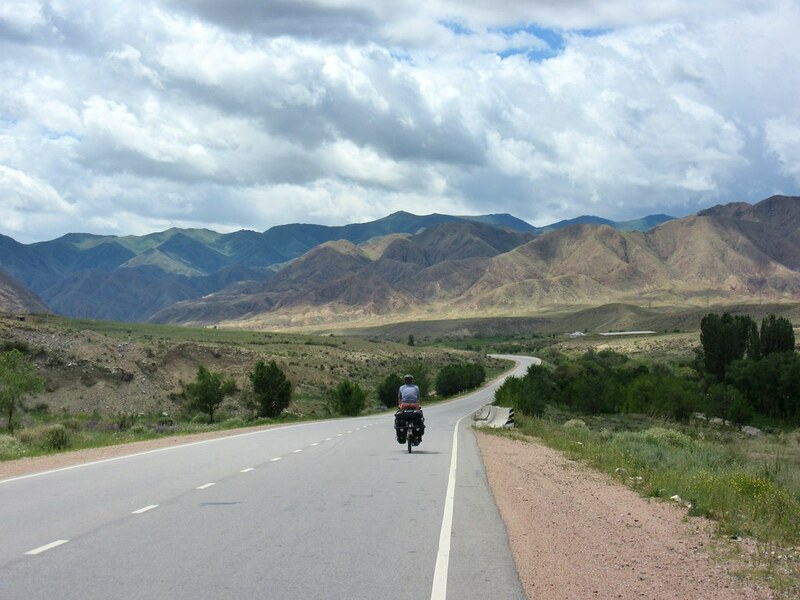 Leaving Kochkor, we knew we’d be saying goodbye to asphalt roads for a while and heading into the mountains, so we made the most of the smooth riding for the first 35 kilometres of the day. We stopped at Sary Bulak for a last restaurant meal and to load up on food for the coming days at the shop there. 3 kilometres further up the valley we left the sealed road and started the climb up towards Song Kol on gravel. We finally made it out of Bishkek. We were there for a day under four weeks, so it felt very good to get away. The main delay was caused by our Azerbaijan visas. Even though Clare received hers on time, some problem with the central system in Baku caused mine to be delayed for a further week. By this point, we moved to a hostel right next to the embassy, so we could walk around the corner to knock on the door, usually to be told ‘come back tomorrow.’ The hostel was decent though, with a nice pool and garden area, and we made the most of being in the city, discovering some really good restaurants. 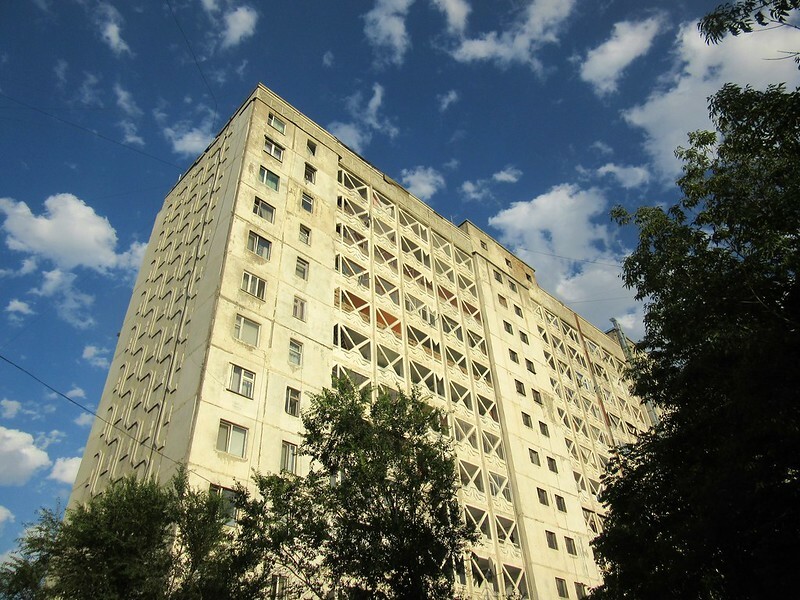 We weren’t in Kazakhstan long and we will be returning in around 3 months but we will be mostly waiting in a port town for the boat across the Caspian Sea to Azerbaijan, so I thought I would write about our time in Kazakhstan and moving from East Asia to Central Asia. 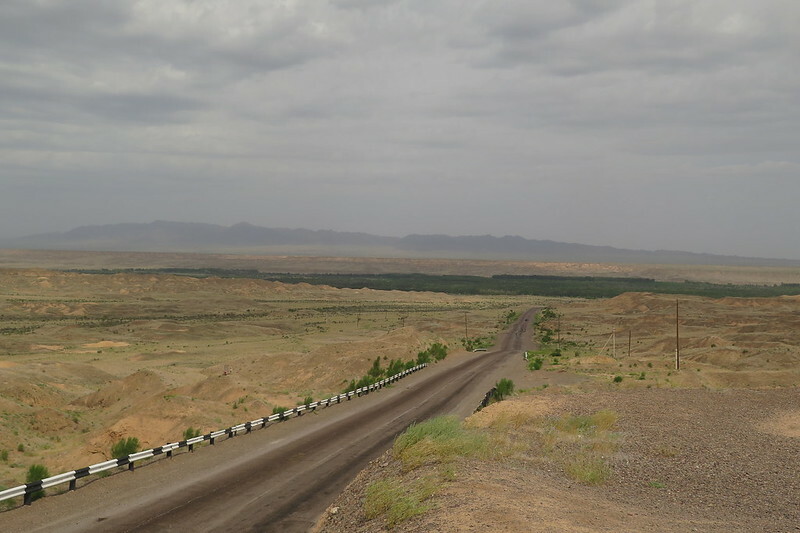 When we crossed the border into Kazakhstan we didn’t see too many differences from the last section of Western China. The scenery didn’t change too dramatically, maybe just less human impact, and it still felt super hot. As we continued on, over the next few days we could see some changes. It’s the 9th largest country in the world with one of the lowest population densities and there were much longer stretches of road with very little around. It was amazing and probably the first time on this trip we felt so remote from civilisation. Miles and miles of land with just the road we were on running through.